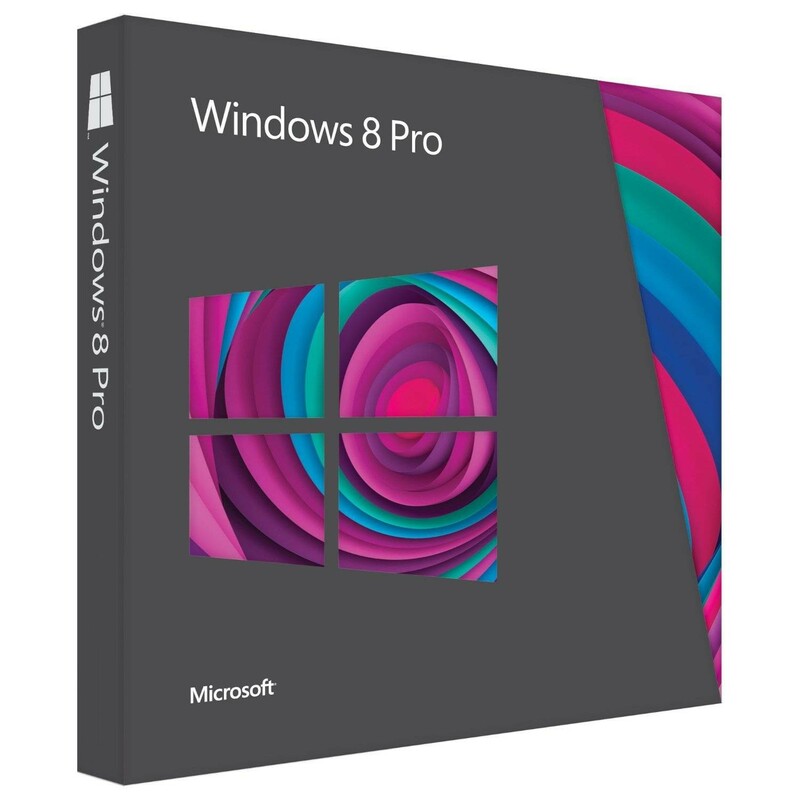 Now that Windows 8 has been released and people have started using it there are several tips that can improve your Windows 8 experience. 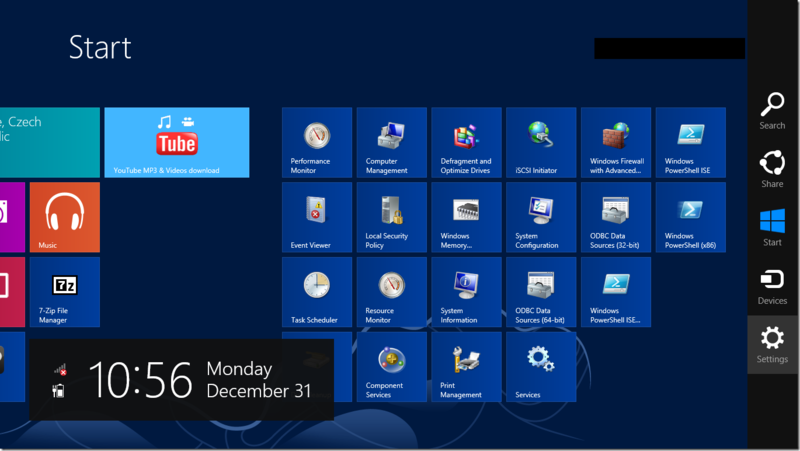 Windows 8 is now being installed on all new computers and it can be hard to use with the new interface, but these tips will make it easier for you to use your Windows 8 computer. 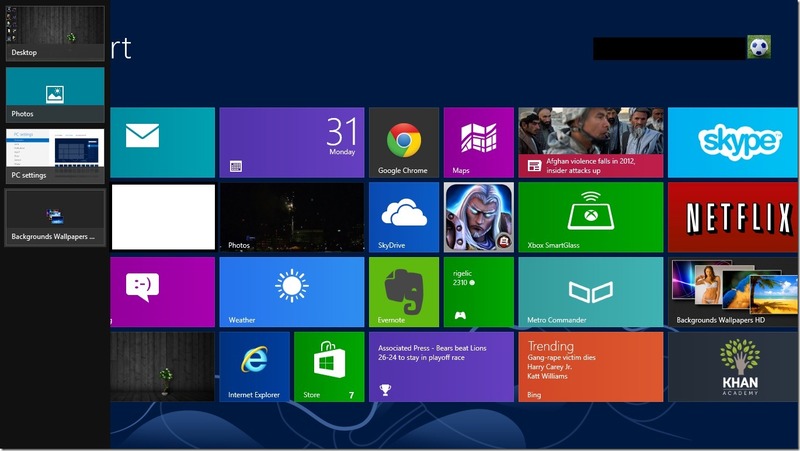 My first tip is for anyone who has a Windows 8 without a touch screen, and there are many new PCs that do not have a touch screen. When you start Windows 8 you get the lock screen that you have to pull up to get the login prompt to login to your computer. The lock screen does not provide any extra security and is a pain if you have to use the mouse to pull the screen up. You can follow the steps below to turn off the lockscreen and take you directly to a login box for your account. 3. 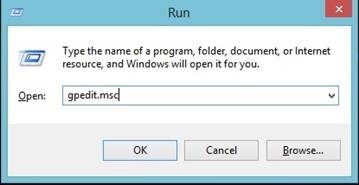 You will switch to the desktop and have the run dialog in the box type in gpedit.msc and click OK.
5. From there you want to double-click Do not display the lock screen. 6. 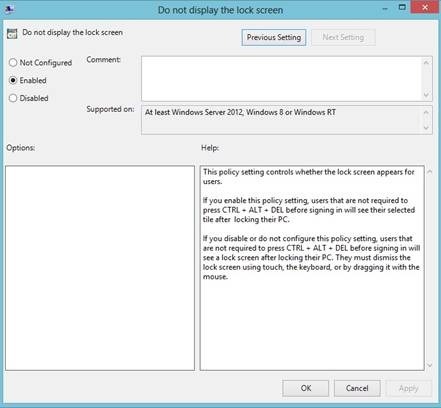 Then you will see the settings screen and it will explain what the policy does. Click Enabled and the OK.
7. Now when you start the computer or login you will be displayed a login prompt directly. 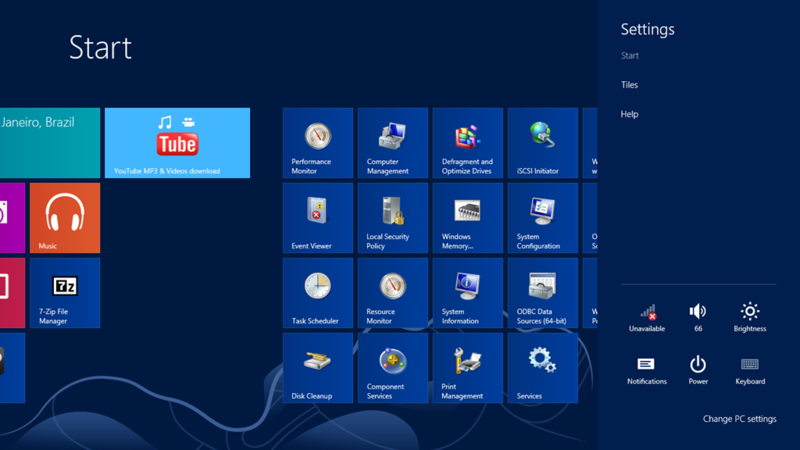 If you are using your Windows 8 computer and want to be able to easily access your administrative tools without going to PC settings or the desktop then you can choose to have tiles for the admin tools. 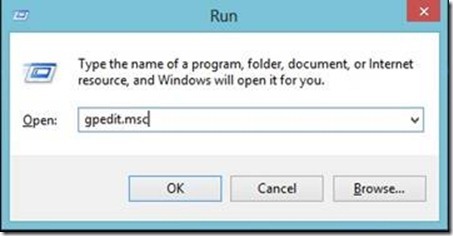 This is very easy to do and can come in handy if you want to get more info about the computer or if you use PowerShell often. 1. Bring up Charms menu by moving mouse to Right border of the screen. 2. From the Charms menu go to Settings. 3. When on the Settings menu click on Tiles. 4. 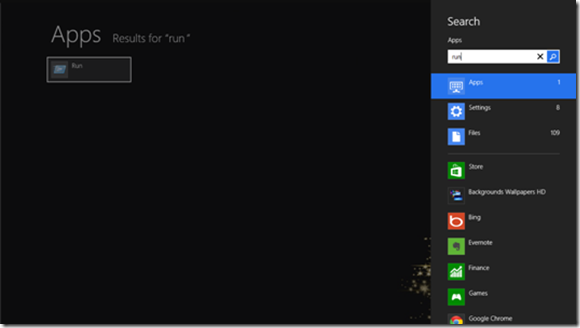 When on the Tiles menu click the button under Show administrative tools to Yes. 5. 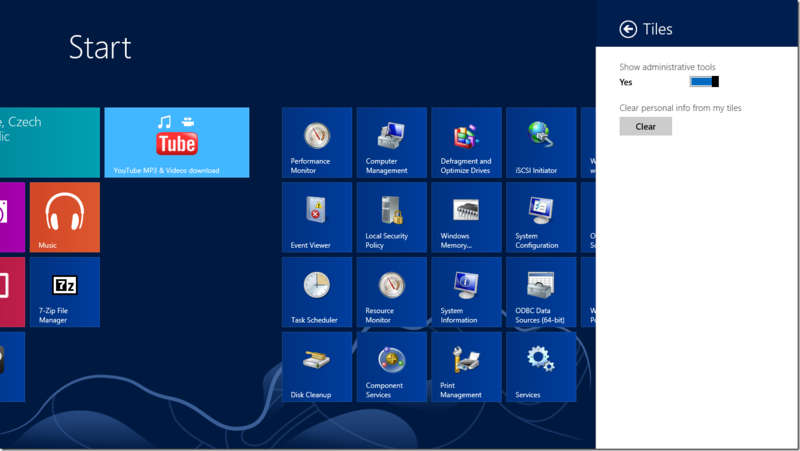 Now at the far right of your Start Screen you have tiles for the administrative tools. 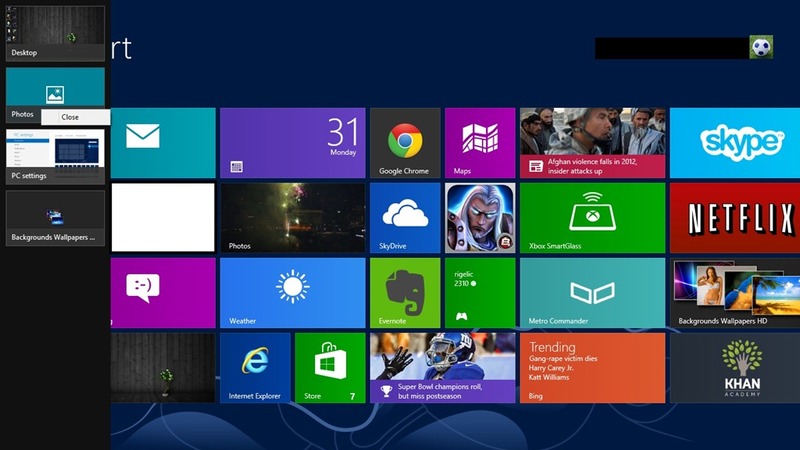 Windows 8 offers a great multitasking ability to switch from apps to apps but if you think your computer is slowing down by having all the apps left open that are not needed there is a way to close out the apps you don’t want and leave the apps you are using left open. Follow the steps below to close out all your unneeded apps. 3. Click the close app drop down to close the app. These are the tips I have come across so far while using Windows 8 I hope they have helped you improve your Windows 8 experience. 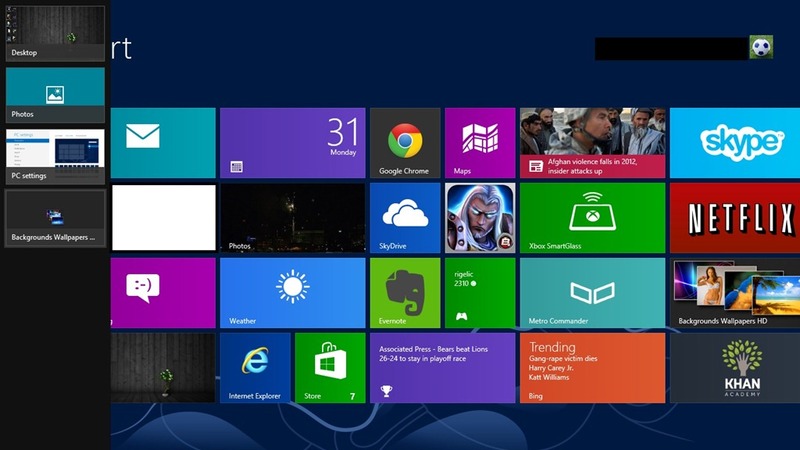 I will keep writing posts on Windows 8 tips and tricks as I find more ways to improve Windows 8. 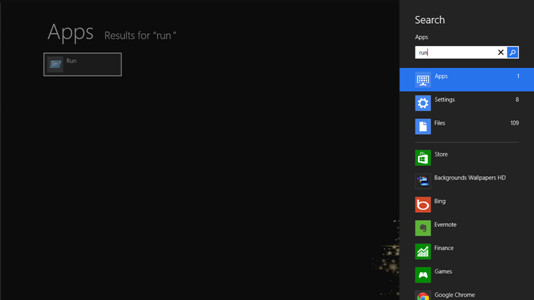 What things have you done to improve your Windows 8 computer?